"There's Magic In Painting Pumpkins!" Laurelton Fire House, Rt. 88 West & Olden Street, Brick N.J.
Take RT. 70 East to Rt. 88 West. 1/4 mile on left.across from The Jersey Paddler Brick. Take Rt. 88 West. Left side across from The Jersey Paddler. is to help find a cure! Any questions Dave Leta at 908-278-6335. 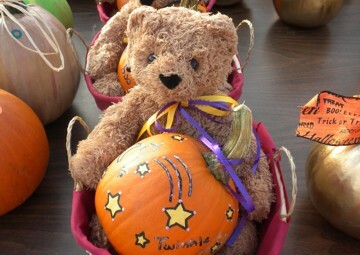 These are not your ordinary Halloween pumpkins. Oh sure, they're affordable, but they have some special love attached. Professional artists from the area have contributed their time to make each and every one a piece of art. 100% of the proceeds go to finding a cure for diabetes. 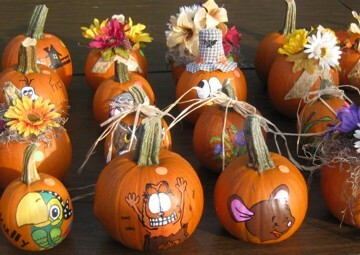 So, Bring the family and enjoy the day picking out your painted pumpkins. 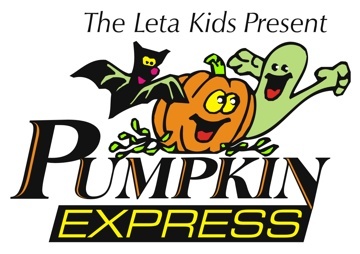 The Leta Kids' Pumpkin Express is an annual event. Located in Brick, New Jersey and during one day in October, the Leta family and friends donate their time and talent to make this event a success each year. 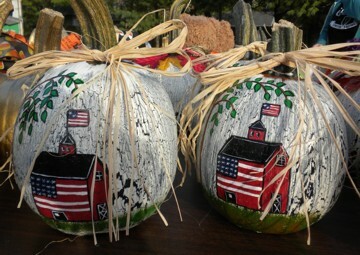 The day offers visitors 1000 painted pumpkins to choose from, while artists paint custom requests directly them. In addition, families are treated to free games with prizes, Gift basket raffles, assorted refreshments and special costumed guests. Custom orders are welcome early in the day. 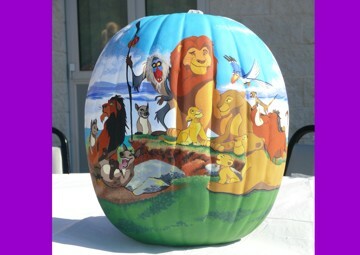 Bring a photo or picture of the desired image you would like to see painted on your pumpkin. 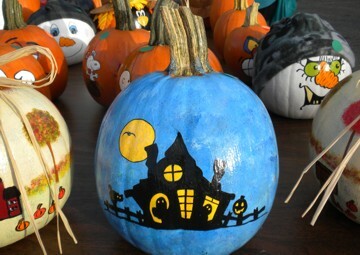 Our artists will gladly paint that image on your pumpkin. Please note we can not take any custom orders after 11am. Our artists are spent by days end. Name, logo and art are subject to copyright laws.